The AWC and PAWS are asking for your help in locating two missing dogs. We are asking that you post the following information and pictures on your blog and/or website. The more people that see these postings, the more likely we are to get these animals back to their rightful owners. If you or someone you know has information regarding the following two dogs, please contact Katie at 256-0243 or 286-0970. Remember, this could be you and your pet or your property, depending on how you look at it. Let's work together to bring these animals/stolen property home and send a message to the community that we are looking out for one another. On August 30, 2007, a dog by the name of Rocky went missing from the corner of Lucia St. and Texas Rd. in CK. The dog is a male boonie that is white with brown spots and longer hair. If you or anyone you know has information regarding Rocky or his disappearance, please call 287-5972. You may also call PAWS at 256-0243. The family is offering a $300.00 reward for the return of Rocky. Please help us find him and bring him home to his family. Gypsy was last seen in As Matuis. She is a very sweet dog with a family who misses her horribly. 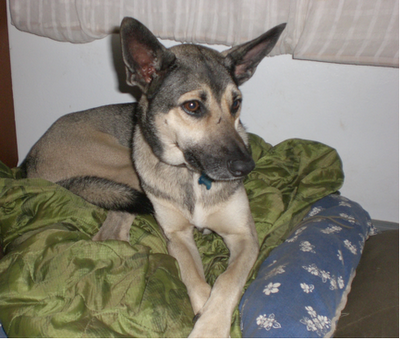 Please, if you have an information on the whereabouts of Gypsy, contact Lindsay or Glenn at 322-2449. The family is offering a $200.00 reward for Gypsy's return. You may also contact Katie at 256-0243.